Imagine being a modern Daedalus, strapping on your wing, and gliding above the earth – paragliding, in fact, on a wing of nylon! The basic skills are easy to learn, and flying on the first day is common. The equipment is simple, lightweight and relatively inexpensive compared to other aircraft. 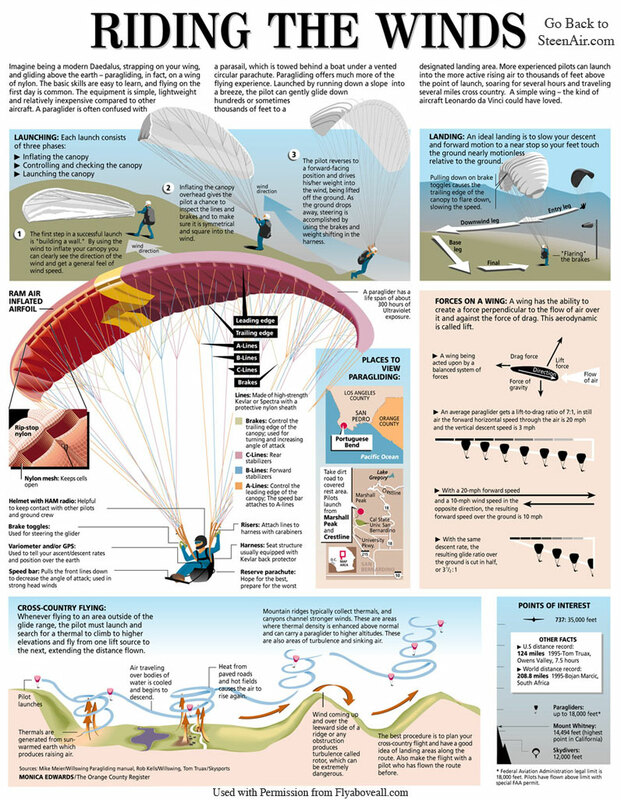 A paraglider is often confused with a parasail, which is towed behind a boat under a vented circular parachute. Paragliding offers much more of the flying experience. Launched by running down a slope into a breeze, the pilot can gently glide down hundreds or sometimes thousands of metres to a landing zone.